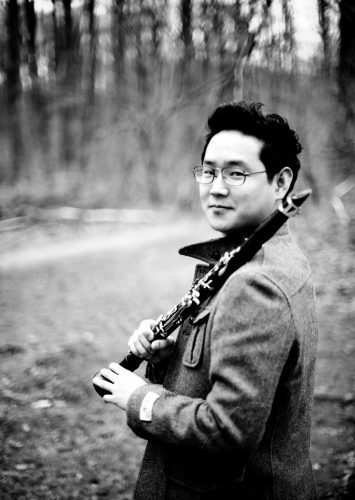 Clarinetist, Christopher Lee completed his Master’s degree at Juilliard School where he received Bachelor’s degree on Irene Diamond Graduate Fellowship and Eve Lyndlemarch Scholarship. He has studied with renowned clarinetist Charles Neidich and Ayako Oshima at The Juilliard School. Christopher has won the first and grand prizes at many competitions such as Korean Clarinet Competition, Vancouver Burnaby Clef Society Competition, “VAM” Competition, Korean Young Artist Competition and more. He was invited to perform and received the certificate at the 5th Carl Nielsen International Clarinet Competition in Odense, Denmark that only opens every 4 years. Christopher had been appointed as a principal clarinet of National Youth Symphony Orchestra of Canada, Vancouver Youth Symphony Orchestra and “VAM” Symphony Orchestra while giving out concerts tour in 12 different cities in North America. For his outstanding musicality, he was selected for “Award of Excellence” with $5,000 scholarship in NYOC. He has appeared as a soloist with many orchestras including Vancouver Symphony Orchestra, Pilgrim Orchestra, The Korean Clarinet Orchestra and VYSO. He had been invited again to perform with VSO for the annual concert at the Deer Lake Park in Canada and with The Korean Clarinet Orchestra at Seoul Art Center in South Korea. In 2010, he had become as an executive director of “First Steps Benefit Concert Series” in Vancouver, which has raised approximately $30,000 per concert a year since 2009 at their annual concert benefiting the children in North Korea. Christopher is currently principal clarinet of Vancouver Island Symphony Orchestra and occasionally performs with Vancouver Symphony Orchestra and Victoria Symphony Orchestra. He is also devoted to teaching and conducting, he joined the clarinet faculty of Vancouver Academy of Music since 2014 and he is the music director of “Jubilate Clarinet Ensemble” and “Vancouver Korean Presbyterian Church’s Choir”.